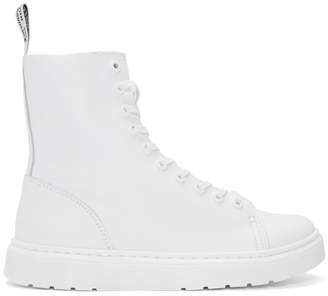 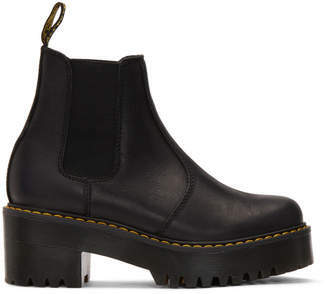 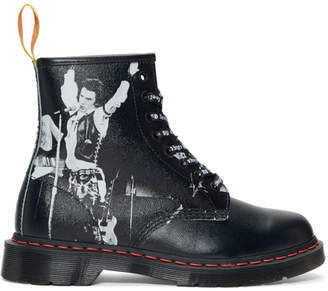 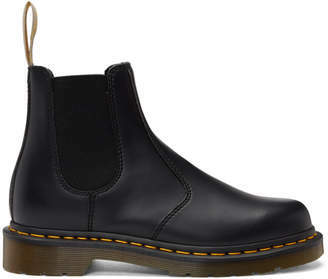 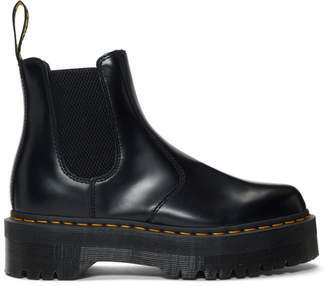 Boots by Dr Martens, Who says they don't make them like they used to?, Lace-up fastening, Padded cuff for comfort, Pull tab, Contrast yellow stitching, Air-cushioned sole, Bonus: it's also abrasion and slip-resistant, Cleated tread for extra grip. 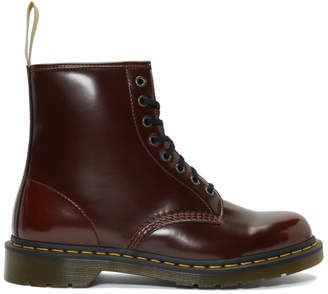 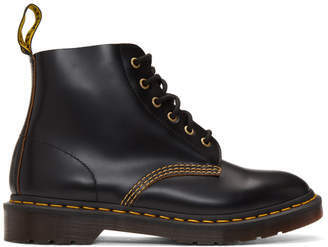 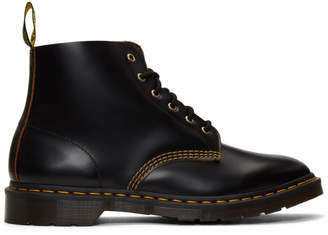 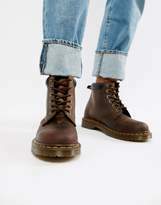 Since its creation in the 1960s, the classic Dr Martens eight eyelet boot was once an iconic footwear choice for punks, skinheads and working class rebels the world over. 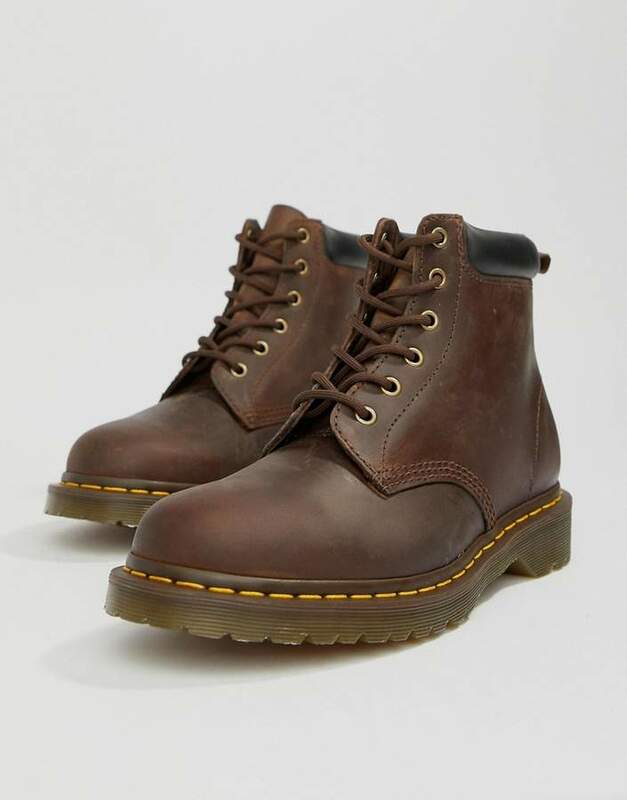 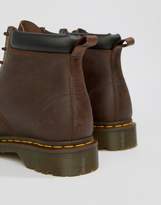 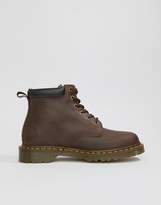 With technical construction that ensures each shoe or boot is durable, resistant and comfortable; Dr Martens have built a reputation on the exceptional quality of their footwear. 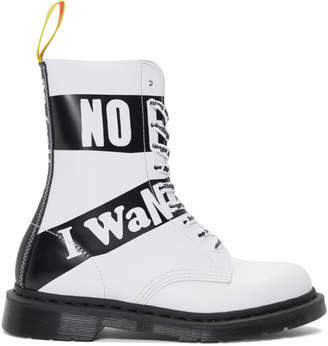 Today, Dr Martens has retained its trademark designs but added a fresh, contemporary twist with the addition of colored soles, soft suedes, bright colors and bold prints.